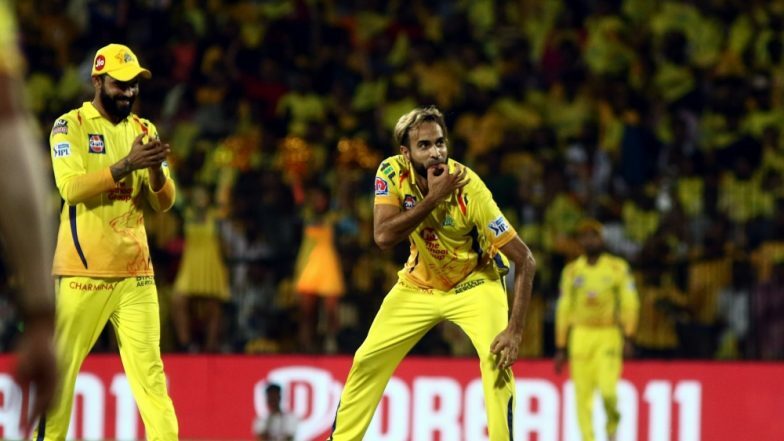 Kolkata, Apr 13: Captain cool MS Dhoni may have been in the eye of criticism for his on-field behaviour recently but for his Chennai Super Kings teammate Imran Tahir, the former India captain remains "a great inspiration". In their last match against Rajasthan Royals, Dhoni uncharacteristically lost his cool and rushed on to the field to challenge umpire Ulhas Gandhe's flip-flop on a no ball. VIVO IPL 2019: MS Dhoni is Human, Competitiveness is Remarkable, Says Sourav Ganguly. Former cricketers came down heavily on India's two-time World Cup-winning captain who escaped a ban and was let off with a fine of 50 per cent of his match fee. Talking to reporters at the Kolkata leg launch of Dhoni's global cricket academy, the South African predictably sidestepped on the issue. "He is a great inspiration for everyone, a great leader and a human being. He is always there to help. That's what motivates me to join the academy to help the kids," Tahir said at the launch, avoiding any questions on the issue. "Even though I have not announced myself globally as part of the MSD Academy, after the World Cup I am free. Even if I have to come to India or go to any place to help the academy, I am willing to do it. I am always there to help the youngsters whenever I can," said Tahir. The MS Dhoni Cricket Academy in Kolkata, which has two centres Singapore and one in Dubai, is the 17th branch and first in a metro city in India. The trial is currently on in the age group of seven to 19 for Kolkata centre which will come up in May in Salt Lake. They also have plans to bring up a centre in Basirhat.